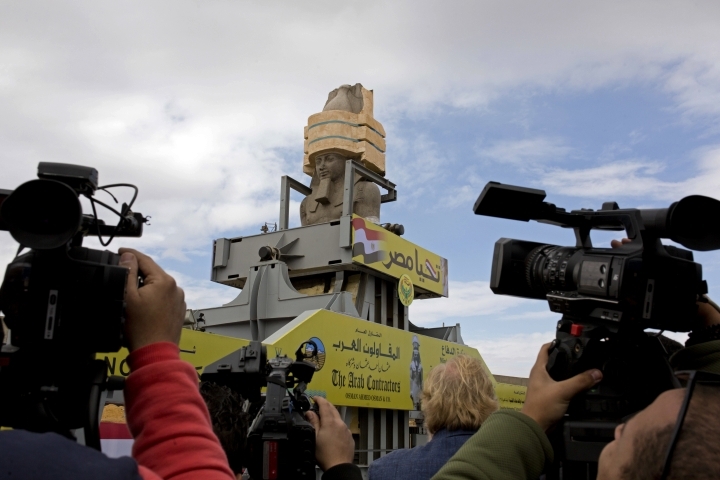 CAIRO — With much fanfare, Egypt on Thursday placed the ancient statue of one of its most famous pharaohs, Ramses II, in the entrance hall of a new antiquities' museum under construction near the pyramids of Giza, just outside Cairo. 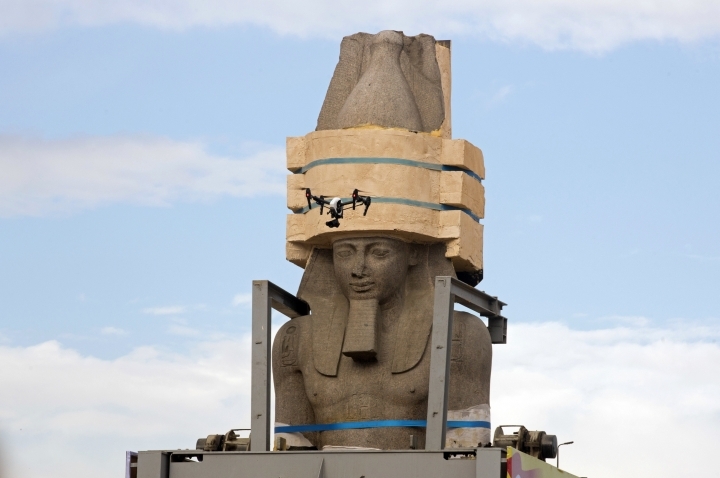 This was fourth time the statue, which dates back 3,300 years, had been moved. It was first discovered in 1820 near ancient Memphis by Giovanni Battista Caviglia, an Italian explorer and Egyptologist who was also a key figure in the excavation of the Sphinx of Giza. Ramses II, also known as Ramses the Great, ruled Egypt for around 60 years, from 1279 B.C. to 1213 B.C. He is credited with expanding ancient Egypt's reach as far as modern Syria to the east and modern Sudan to the south. 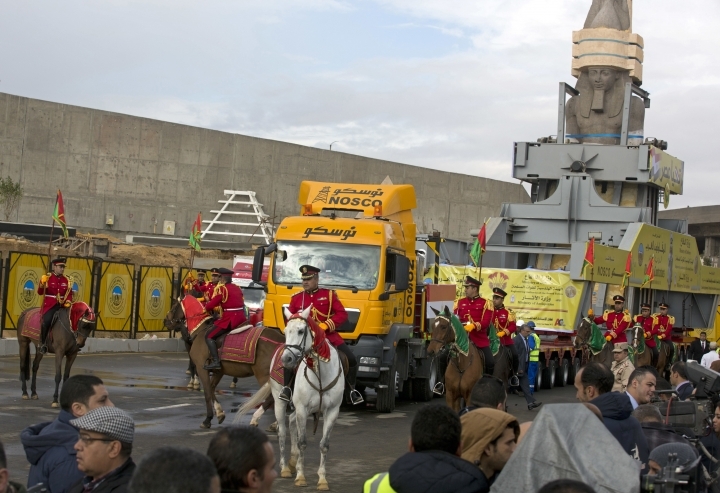 The placement of the colossus, weighing over 80 tons and towers at a height of about 12 meters (39 feet), took place amid a ceremony attended by Egyptian officials and foreign diplomats. 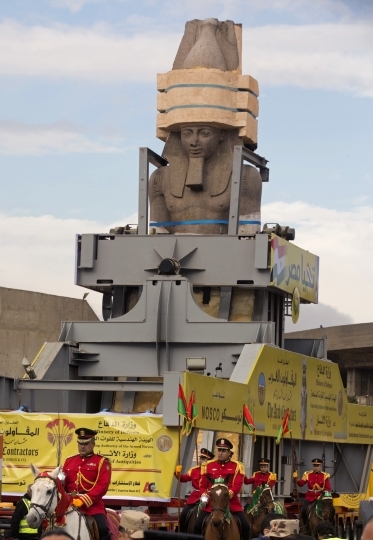 The massive statue — which for over 50 years had graced the Ramsis Square, named after the statue, in downtown Cairo — was moved in an iron cage hung like a pendulum on a steel bridge for about 400 meters (yards) from where it stood earlier, at the museum compound. 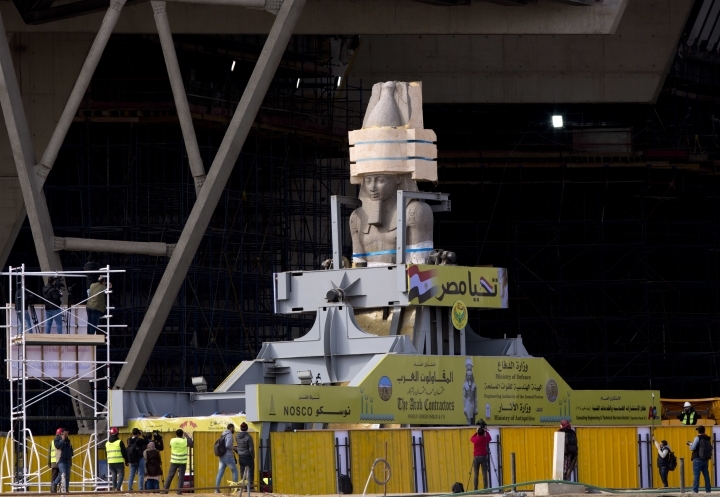 "We are celebrating the arrival of the first artifact to its final venue in the atrium of the Grand Egyptian Museum," Antiquities Minister Khaled al-Anani said, referring to the colossus. 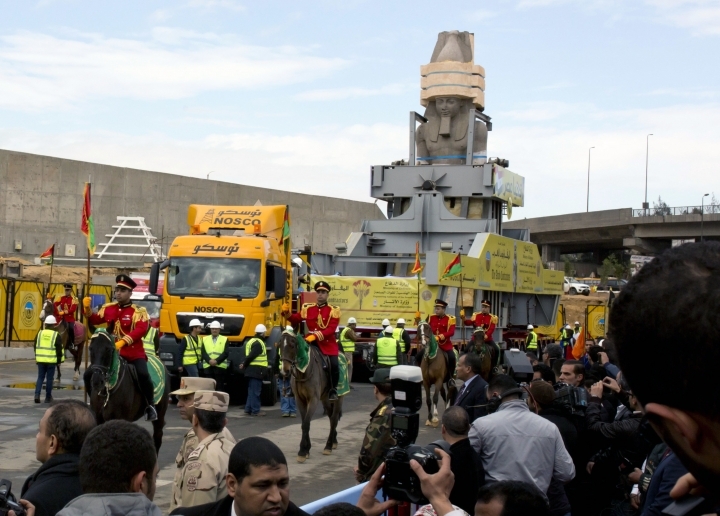 The relocation of the colossus cost 13.6 million Egyptian pounds, al-Anani said, which today is about $770,000, and involved military corps of engineers and a contracting company. 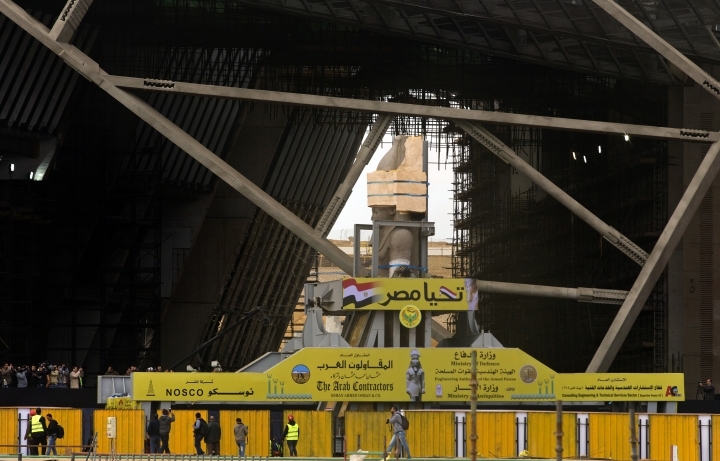 Al-Anani said the museum entrance hall will also host some 87 other artifacts, including 43 massive statues. He said that the first phase of the new museum, including the atrium, will be inaugurated later this year. The grand opening of the new museum is expected to take place in 2022. The museum covers about 490,000 square meters (586,120 square yards) and will house some of Egypt's most unique and precious artifacts, including many belonging to the famed boy King Tutankhamun. 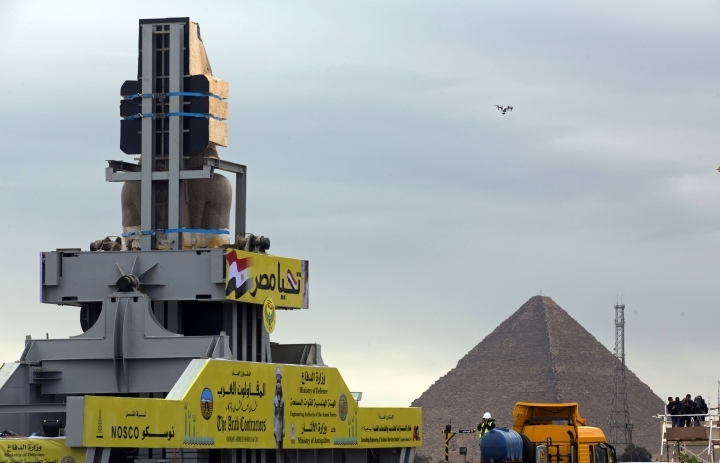 On Thursday, Egypt marked the seventh anniversary of the uprising.